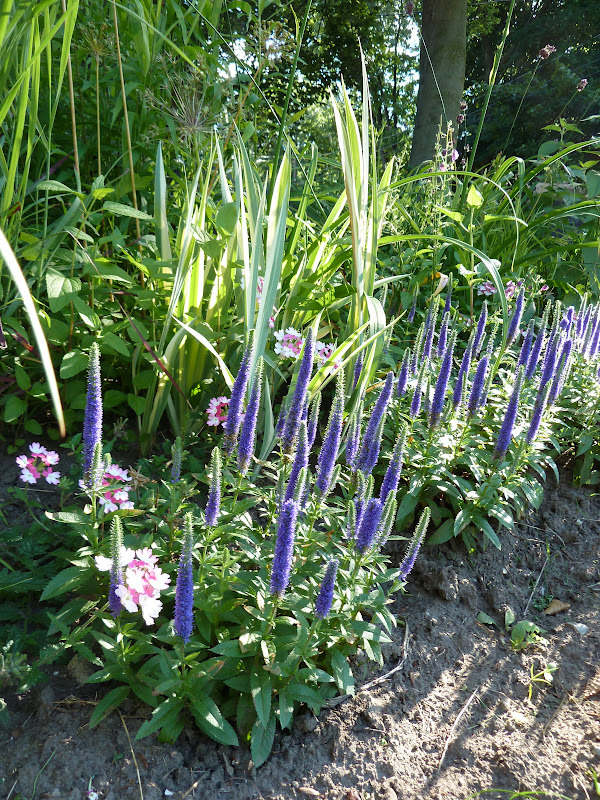 I cut the early bright blue salvia back this weekend. As I was snipping and clipping, I was thinking that it's too early to be without colour in this particular corner bed. Looking at my photos from last year to check, we still continue to be about 10 days earlier for blossoms and blooms. Fortunately my new best hydrangea friend Bella Anna is blooming up a storm and looking quite fetching. Otherwise, I'm waiting for the hemerocallis, later blooming hydrangea, and hopefully good second bloom on the salvia to put the charm back in the garden. Being earlier than usual means that bug/pest/timing may be off a bit too. This Inula is usually savaged before I can get a decent shot. However, this year, the leaves are looking good, and the flowers are fine. Pretty Deutisia leaves - flowers brief and utterly unfabulous. Think my favourite of the lot is Deutsia 'Chardonnay Pearls' - chartreuse leaves, and a good long period of bloom. Stays short and rounded too, which is a real plus. This was a specimen from Richard Birkett's garden. I adore anything spotted and variegated. He had a irrigation system. I don't. Obviously this plant's life has gone downhill. Thank goodness there aren't any societies for the prevention of cruelty to plants. Native to Manchuria, Korea and Japan. A twining or rambling deciduous shrub-vine with large terminal panicles of flowers up to 9" long in summer, very attractive in flower. Greenish-white, 3-angled and winged fruits. Very rare in commerce and limited this season. 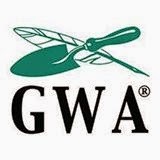 Germination Instructions: Cold treatment required. More blooms from the Rosa Candy Oh on a new stock. Interesting when you flatten the perspective - a lovely old clary sage, a digitalis and ipomopsis leaves. Such a pretty monarch. One of these days I should work on these photos before I put them up - apologies for the phantom leaf to the left of the bug and that attractive no parking sign off in the distance. The population of Japanese Beetles is motoring along. But, several of the roses have completed their major cycle of bloom - so no roses for them! Alas, this Kitaibelia vitifolia didn't get the memo about moving ahead by a couple of weeks. It is from the rose family, so these adaptable bugs have just moved to the next silver tray on the steam table. 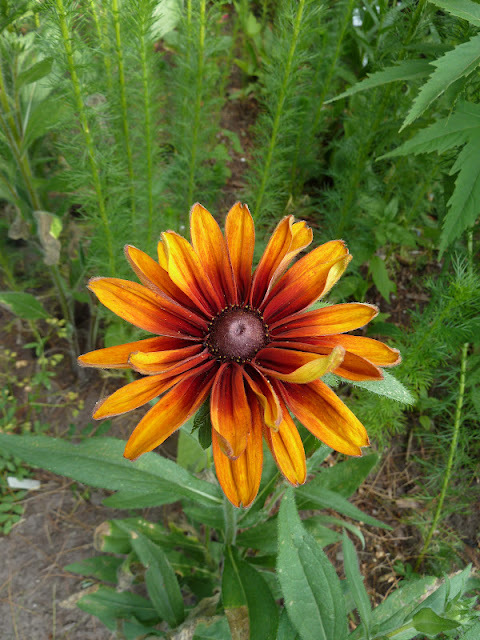 Another 'from seed' plant in my garden from Gardens North. Splendid and tall, from the Lower Danube. This species forms a massive stand of palmate vine-like leaves, and clusters of open cup-shaped white or rose-pink flowers. Very vigorous. Loblaw has expanded their tropical plant for the garden selection. I'm an orange lover from way back - hoping this will give me colour throughout the rest of the season. Hydrangea quercifolia 'Alice' - for the first time ever, more than 3 blossoms. Just shows what a mild winter will do for those plants. 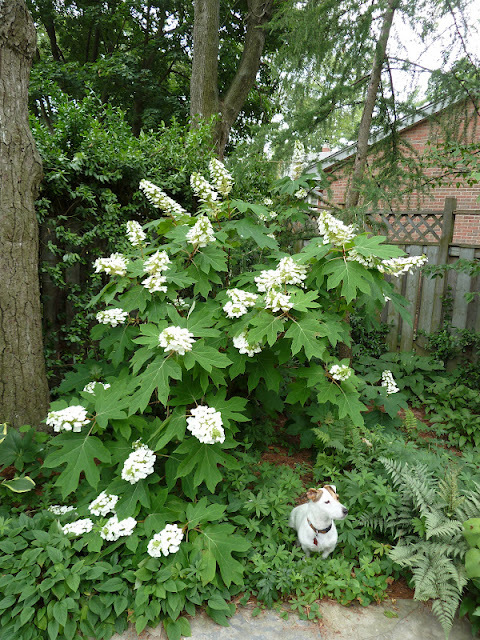 And for people who see it doing well this year - remember - I don't recommend it - it isn't for this climate - if you want an oak leaf hydrangea, grow the species - at least you'll have dependable flowering. Here's H. 'Lemon Wave' looking like the carnival is about to begin. There was a massive Beech taken down next door. The garden used to be in shade for 2/3 of the day - now it is exceptionally bright. 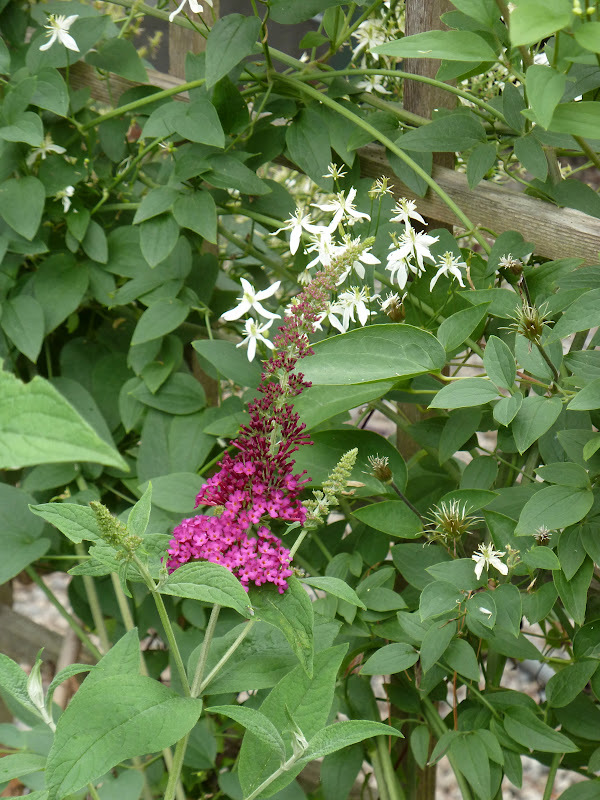 This butterfly bush is the first of a number of switch-overs that will be made in the years ahead to adapt to all the new light. I've never seen a butterfly bush bloom before July. The excitement of the day yesterday was an enormous limb coming down blocking Watson. Which means we got the fire department. The public works department. And if you squint - Oakville Hydro - with three trucks behind. Our taxes hard at work. The Phlox paniculata have begun to bloom. It should be a wonderful year - all the varieties are either 1.5x as tall or have twice as many heads as normal. The Gaillardia looking very, very happy. And some blues and pinks to finish - a nice Veronica I'm guessing Royal Candles from Sheridan looking its best and a Viburnum Lanai (R) Twister Pink from Loblaw. Now if it would only rain, life would be absolutely perfect. Everything look great! My veronica got trampled to death year before last. It tries to make a comeback, but it's a struggle. Sometimes I think I should just pull it up and put it out of its misery. LOL I'll give you an Amen on the rain. Beautiful! I don't know what I like best--it all looks wonderful!